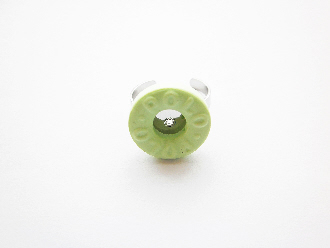 A gorgeous light green polo sweet ring with the words; "Polo" written on the front. Attached to a silver plated adjustable ring to fit any size finger. * Not suitable for young children. Made in the UK by hand.